Good news for families and small groups of friends, classmates and officemates looking for villas that will allow them to spend a few nights near Manila. 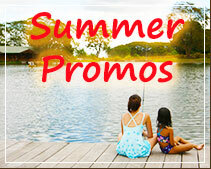 One resort in Clark Pampanga is offering family cabins to visitors arriving in Clark Pampanga for overnight stay. These multi-bedroom villas offer 6 to 8 queen-sized beds accommodating 12 to 20 persons quite comfortably. 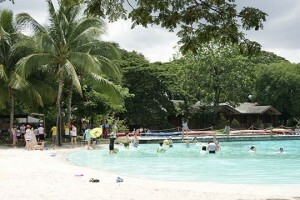 This resort in Clark Pampanga is one of the most popular venues for corporate teambuilding near Manbila. In a recent report published by Philippines travel agencies that specialize in organizing corporate functions and events for Manila-based companies as well as wedding and other social functions, one of the hotels in Clark Pampanga was cited as offering the best venues for outdoor events and garden wedding receptions. Accessibility: proximity to Manila shortens the journey and reduces the travel time to the event venue leaving more time (and energy among the participants) for programs and activities. Privacy and Exclusivity: is crucial as experienced team building facilitators would tell us; nothing spoils a team building event faster than a few untoward incidents involving other people around the public resort or hotel. It is this reason that many event organizers no longer favor public venues like beaches and parks. This entry was posted in About the Philippines, Pampanga, Clark, and Angeles City, Venues for Team Building, Company Outings and Corporate Events. Bookmark the permalink.